EL SEGUNDO, CA — As the media waited near the Los Angeles Kings’ dressing room area door at the their practice facility on Sunday morning, something rather unusual caught our eyes. As some of the Kings’ players walked to the ice surface for an optional skate, one was very different from the rest, wearing a green practice jersey, a white sock on one leg, and a red one on the other. But here’s the kicker…that player was also wearing a sombrero as he walked by, immediately drawing laughter from the media, and soon after, fans at the Toyota Sports Center, as defenseman Alec Martinez skated onto the ice. Meanwhile, a small handful of media, still laughing, went to the Kings’ bench to take photos, which is usually forbidden. But under the very unusual circumstances, Kings Communications staff did not intervene. Also taking photos and video from the bench was left wing Dustin Penner, who laughed as he walked back to the dressing room to put his cell phone away before heading back out for practice. Martinez warmed up with the sombrero on, but when drills started, he switched to his helmet. The sombrero was given to Martinez as a joke by head coach Darryl Sutter, presumably because the date was May 5—Cinco de Mayo. But the joke would have been funnier if Martinez was actually of Mexican heritage. With that last name, Martinez sometimes runs into people who assume he speaks fluent Spanish. Martinez indicated that the joke was both funny and well-timed. But he did fire one salvo back at his coach when he found out that Sutter purchased the sombrero at a liquor store earlier in the morning. Martinez returned to the lineup on May 4, in the Kings’ 1-0 Game 3 win over the Blues, and he made the most of it, contributing an assist on the lone goal in the game by defenseman Slava Voynov after a big scrum in front of the St. Louis net. “I know I got hammered at the end of it, but I didn’t care, because we scored,” added Martinez. When the scrum began, Martinez did not hesitate to join the pile-up in front of the St. Louis net, which would usually be too risky of a play for a defenseman. For Martinez, it was his first action since April 2 at Phoenix. Martinez said that he was a bit rusty after the month-long layoff. 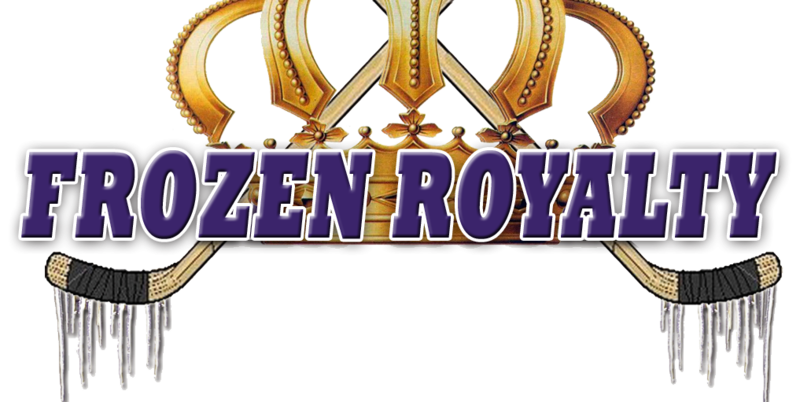 NOTE: The following video contains bonus coverage only available from FrozenRoyaltyNHL on YouTube.